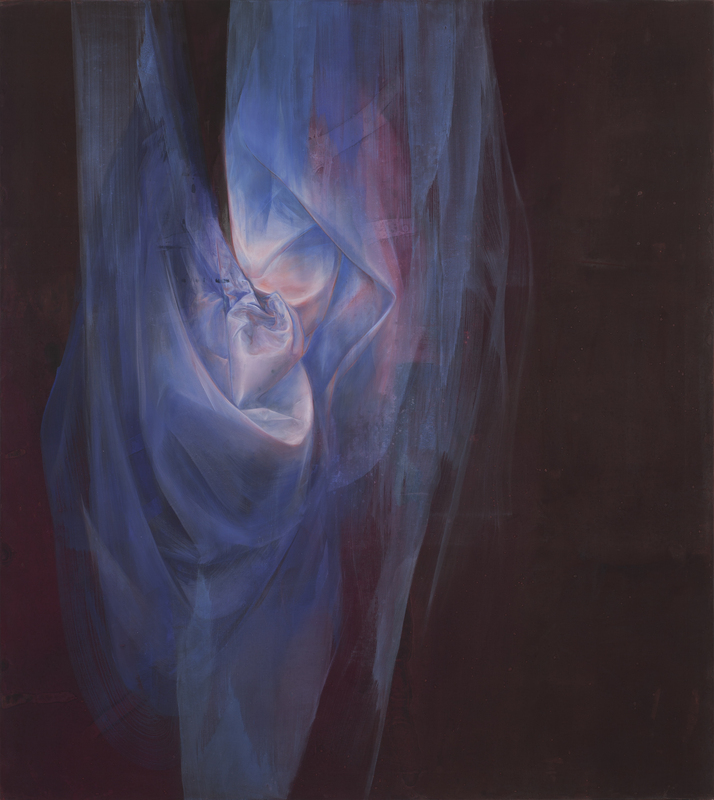 The theme of the exhibition is the ego and its renunciation, the desire to relinquish your own will. The exhibition approaches the theme from a variety of angles, with a view to discovering a common core for its many different manifestations. A central idea in Christian mysticism is the imitation of Christ, the desire to become one with God through His grace and by following the example of Christ. To walk with God, you seek to give up your own will, so that God can become manifest and work through you. This goal can be achieved through spiritual and physical exercise, by giving up earthly possessions, family ties and social status, by fasting and submitting to bodily pain and suffering. The essence of the mystical teachings of different religions is surprisingly similar: to surrender the evil and false ego that distorts the world and merge with universal reality. In the womb and during the first years of our life, we are completely dependent on other people and we conceive of ourselves through the reflection we receive from others. A baby has not yet a self of its own, it is subsumed in the mother’s self. Many atheists in fact believe that faith in God and Paradise are in reality a longing for this lost unity. When we are in love, we are one with the loved one, yet ultimately even in love there must be two separate beings that together constitute a pair. A fusion in which the boundaries of the self disappear can be destructive, leading at worse to spiritual damage. Sometimes in a relationship, one person becomes totally subservient to the other’s will. This can also be simulated artificially for the purpose of achieving sexual gratification through the negation of one’s autonomy. In the simplest of terms: if you no longer control your body, you lose your entrenched inhibitions and are no longer responsible for actions perceived as dirty and shameful. The heroine of Marquis de Sade’s Justine has in fact been likened to a saint who endures the horrors of torture while remaining pure and fresh, as if refined through suffering. was some secret thing in us that wants to become subsumed and obey, as if the thoughts of one person could assume a collective form, one will use other wills for its nourishment. The making of a work of art is the externalisation of an existential experience, its materialisation. The artist must be simultaneously present in the work and detached from it. Just as in personal relationships, so in the artist’s relationship to the work boundaries can become blurred, making it difficult to separate yourself from the work. That is also why criticism of the work seems so personal. Art making too can be an instrument of unification. The Canadian pianist Glenn Gould said he sought to attain a state in which every sound would be pure ecstasy. Ecstasy can be achieved through concentration, repetition or by transcending physical limitations, such as using your body as material or working on a very large piece or one that requires a long time to complete. The artist and the viewer can attain a unified experience when the work of art functions as a protective interface that allows a shared experience in which both parties are separate. The exhibition is named after the 16th century Spanish saint and mystic Teresa of Ávila. Teresa experienced states of ecstasy in which she felt herself being united with God when a cherub or angel pierced her heart painfully with a glowing spear. 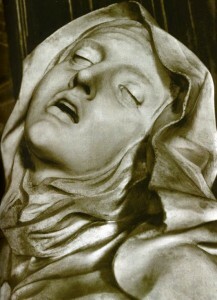 Teresa’s ecstasies have often been interpreted as having a sexual origin. The most famous work of art on the subject is Gian Lorenzo Bernini’s statue in the Cornaro Chapel, Santa Maria della Vittoria, Rome. Teresa of Ávila wrote a book, El Castillo Interior (‘The Interior Castle’), in which she describes in great detail the structure of the soul and the journey to God in the form of a metaphorical castle. States of ecstasy and death of the will are important steps on this path, but they are not the final goal.